Dance/Movement Therapy values embodied knowing as an essential part of the therapeutic process, honoring physical expression as a path of transformation. In a dance therapy session, movement patterns are explored to foster a wider range of expression both on and off the dance floor. In the presence of a compassionate and trained witness, whatever arises is welcomed and integrated as fuel for our highest growth, as part of the dance. The goal is to create more range, freedom, self-awareness, empowerment and choice in one’s day-to-day life—to release limiting beliefs and embody new ways of being through movement. Dance therapy is often used with special populations, but it is also a valuable tool for anyone who wants to move more consciously through the world. 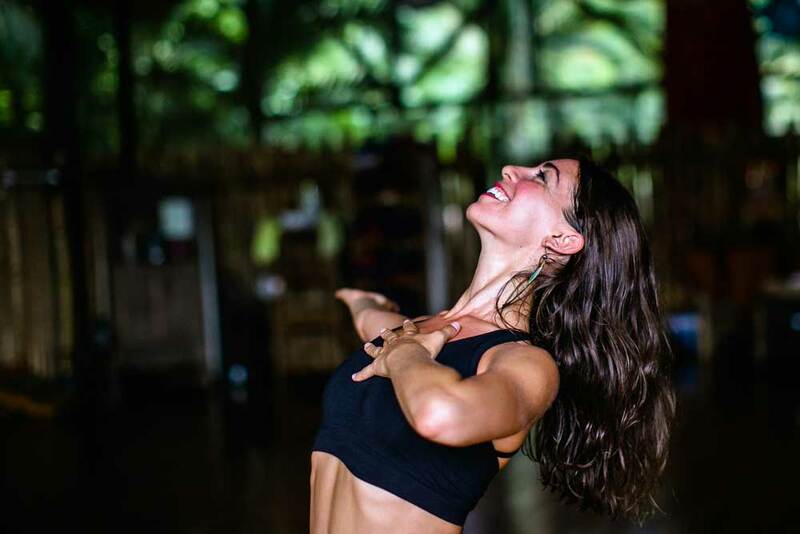 In her sessions, Ali draws on an extensive background in dance, yoga, performance and training as a therapist. She holds an MS in Dance/Movement Therapy from Sarah Lawrence College and a BA in Dance & English from Columbia University. Ali also draws inspiration from transformative movement practices including the 5Rhythms, Authentic Movement, Continuum and Temple Body Arts. She is honored to support you on your healing journey, to dance with you in the knowing and not knowing, to help you live your highest yes!